Lt.-Col. Gordon Carrington Smith was the senior surviving Canadian Army officer on the Nerissa. His report of the sinking is covered under the Court of Inquiry. Col. Smith passed away on 14 May, 1974. His obituary below shows that he was remembered with great respect in his military career and afterwards in his personal life. Lieut. Col. Gordon Carrington Smith, 68 of 5730 Atlantic Street, Halifax, died Tuesday in the Halifax Infirmary. Born in Quebec City, he was the son of the late Robert Harcourt and Mary Villieve (Gunn) Smith. Col. Smith received his early education from Bishop College School, Lennoxville and then graduated from the Royal Military College, Kingston, in 1927. In 1929, after graduating from McGill University with a degree in engineering, Col. Smith joined the Royal Canadian Artillery. He served under General Worthington as a founding officer of the Royal Canadian Armoured Corps in 1937. During World War Two, Col. Smith served in the Italian campaign and was wounded in action while second in command of the British Columbia Dragoons, R.C.A.C. 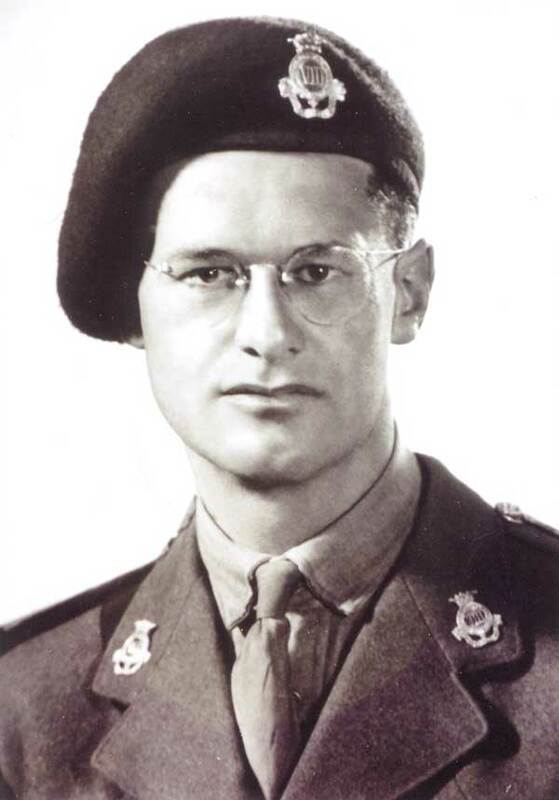 After the war Col. Smith graduated from the Canadian Army Staff College in Kingston, Ontario and served as Canadian liaison officer at the Pentagon in Washington from 1950-1952. He terminated his military career as staff officer (Manning) in Ottawa in 1958. After retirement from the Canadian Army, he joined the Halifax architectural firm of Dumaresq and Byrne Ltd. He was a member of the Association of Professional Engineers of Nova Scotia, on the board of the Canadian Corps of Commissionaires and, at the time of his death, was national vice-president of the Royal Commonwealth Society. He was a past president of the United Services Institute of Canada, an active member of the Cathedral of All Saints, the Halifax Club and the Sarguay Club. Besides his wife, the former Jacqueline Marie (Dumaresq), he is survived by one son, Major Arthur Harcourt Carrington Smith, CFB Petawawa, Ontario, a daughter, Eve (Mrs. Stewart McInnes), Halifax; two brothers, Alexander Harcourt Carrington Smith, Quebec City and Robert Guy Carrington Smith, Brockville, and five grandchildren. The body is at St. Alban’s Chapel, All Saints Cathedral, Halifax, where funeral services will be held Thursday at 2.30 p.m. Burial will be in Fairview Cemetery. Colonel A.H.C. Smith (Retired), son of Col. Gordon C. Smith.